A new Instructables project has been posted this month which allows you to create a Raspberry Pi gaming system using the awesome RetroPie emulation software without soldering any components at all. 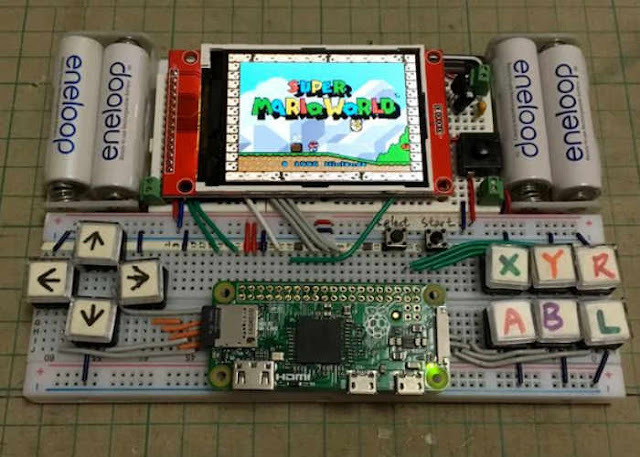 The breadboard RetroPie Raspberry Pi gaming system is powered by a Raspberry Pi Zero together with 4 x AA batteries. Watch the video below to learn more about this great project. This project aims to make it simple, all things built on the breadboard, the first tools you should know while studying electronics. The most beautiful thing using breadboard is most things can be reused. When you want to build the next project you can unplug and reuse the components and also reuse the breadboard itself!